My 12 year old grandson was anxious to try this little toy drone when I told him I was going to get one. He, WITH ADULT SUPERVISION, charged it according to included instructions. The charging process was noisy. We couldn't figure that out. We took it outside for its test flight and it flew for a few minutes, came down, and never flew again. While in the air, it couldn't follow instructions from the remote control to roll, or go backward. It just came down and that was the end of it. Never would fly again. If I were more technically minded, I might have been able to look deeper into it, but my grandson was so disappointed, we just didn't try anymore. It was well packaged and had instructions that were easy enough to follow, but the mechanics were just not working at all. I don't think I have ever reviewed a product with just one star, but it just doesn't work at all. 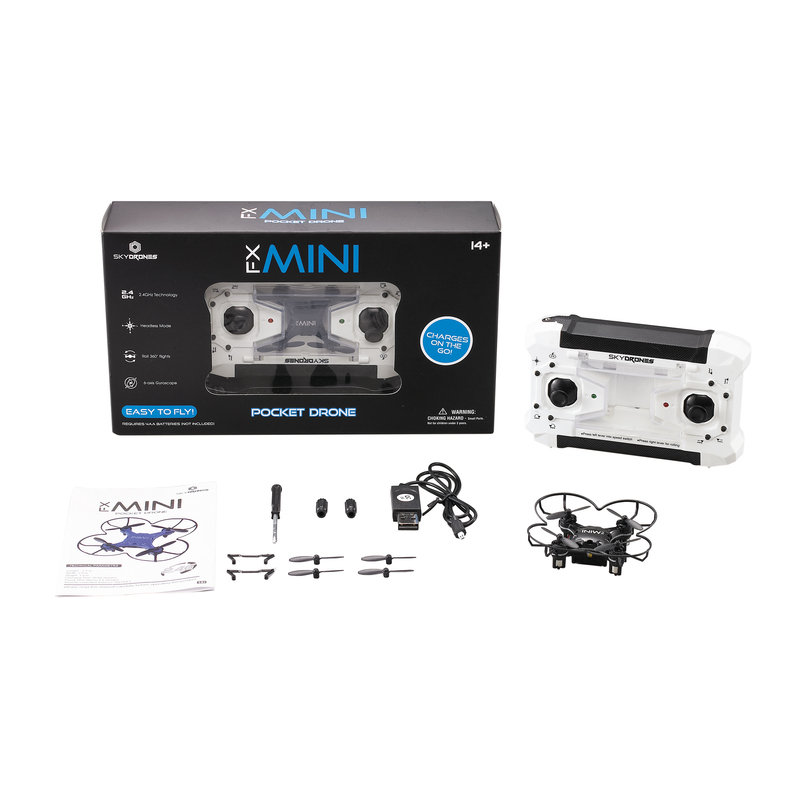 Tbook.com crawls the web to find the best prices and availability on products like SkyDrones- FX Mini Pocket Drone (Color may vary). This product is one of the more popular items we list which is why it is in our "hot deals" section. If you have any questions on this product, please give us a call at 734-971-1210 during the hours of 9am - 5pm EST for assistance. Thank you for shopping at Tbook.com, the Internet Department Store!